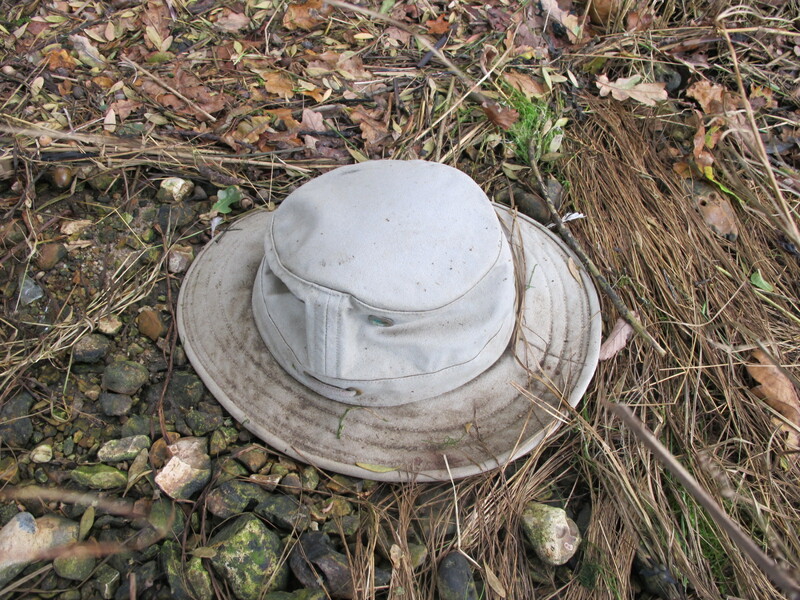 I discovered this Tilley Hat on a foreshore walk this afternoon at N 50˚ 47.327′ x W 001˚24.384′. Alex Tilley was born in 1938 in Mount Albert, Canada and graduated from the University of British Columbia. He worked as a self employed arts consultant while designing hats as a hobby, before making a business of his pastime. 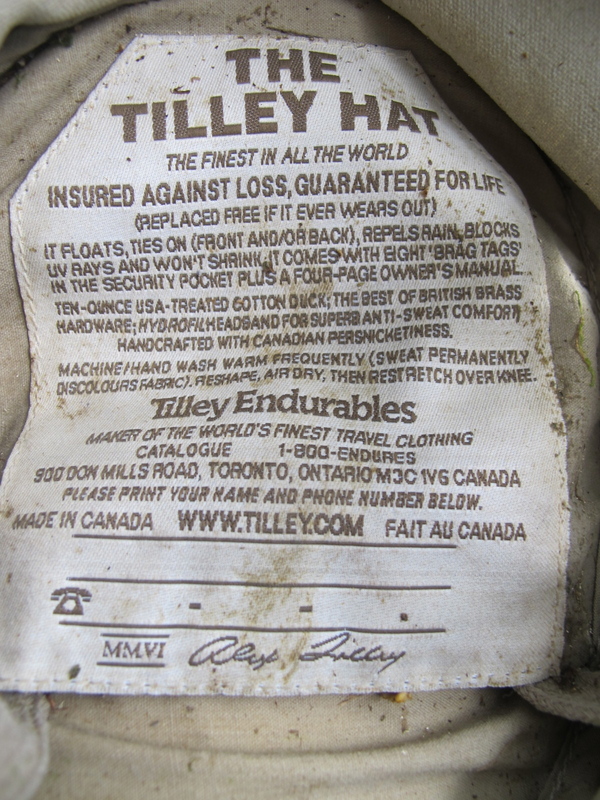 The description printed on the inside label, would suggest that it is a hat capable of surviving on the river for a very long time. Perhaps I should appropriate it as a part of my autumn collection of Eggwear and reclaim one of Mr Tilley’s hats for art.